Hawaii may be known for its picturesque beaches, but a weekend storm left parts of the Aloha State looking like a scene from the Arctic Circle. 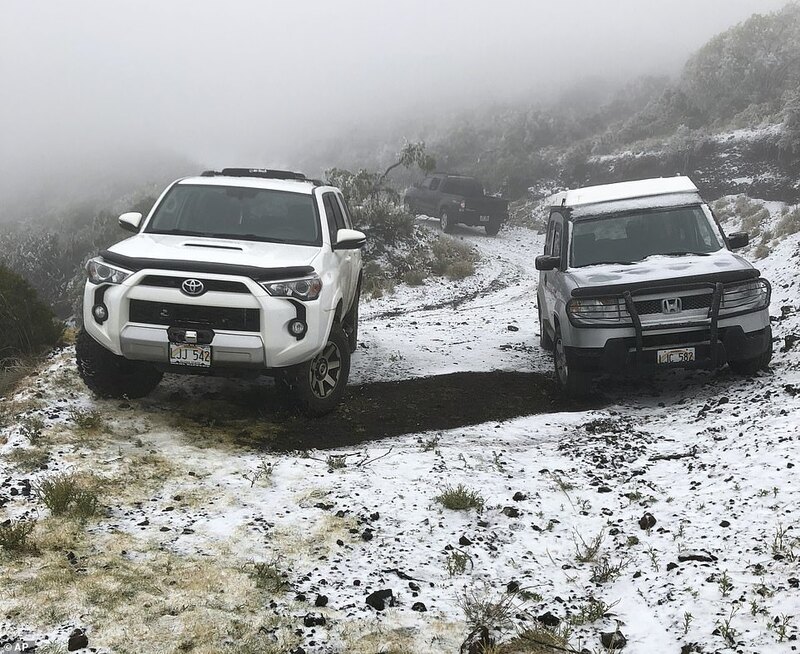 Snow blanketed parts of Polipoli Spring State Recreation Area on the island of Maui on Sunday, which is likely a first for any state park in the state. "At 6,200 feet, this may be the lowest elevation at which snow has been recorded in Hawaii," the Hawaii Department of Land and Natural Resources said in an Instagram post. Endo headed back from the park to bring his two children to "see something that's very unusual in Hawaii."